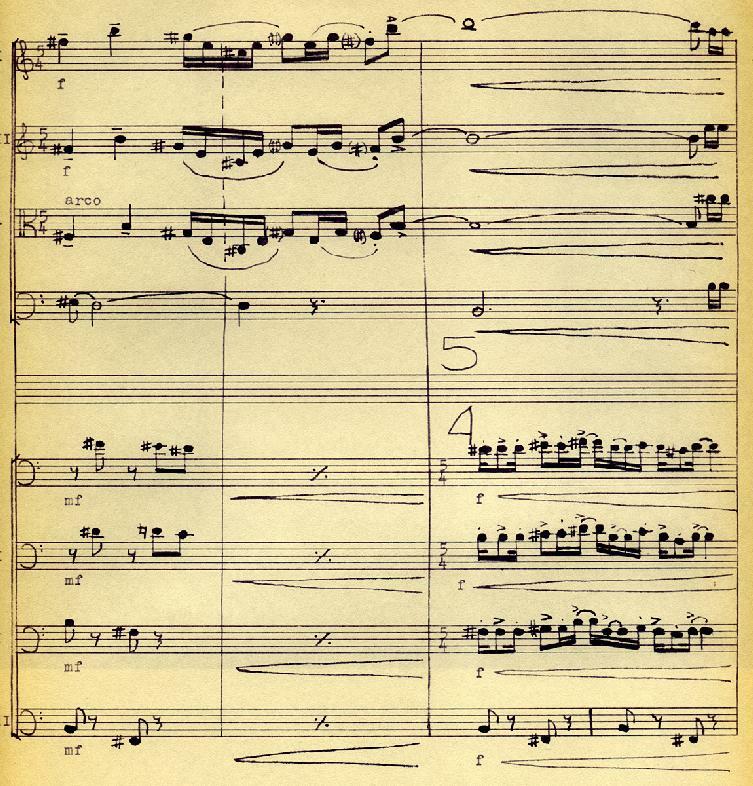 A page about 60 measures into Eröterungen, for string quartet and trombone quartet. Notice that the top three string parts are in 5/4 meter here, while the trombones are in 5/8. This piece uses quite a bit of cross rhythm, some of it quite a bit more complicated than this, where the bar lines do not line up. I would still like to hear this piece played some day.